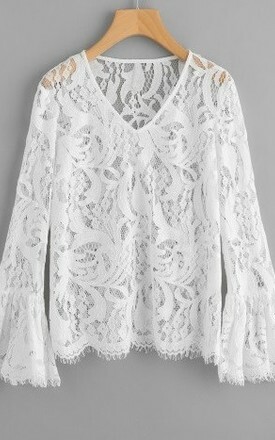 White lace long sleeve top with bell sleeves. Pair with a white bralet underneath or a white cami top. Bust: S, 35.4", M, 37", L, 38.5"